This Superman Vintage Ink Splatter White kids youth tee shirt. Features vintage style faded Superman design. 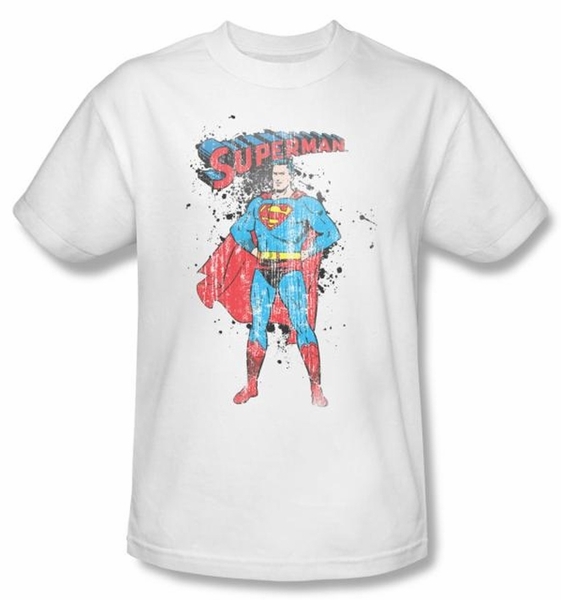 This retro and distressed t-shirt features a classic image of Superman on the front with a black ink blot scattered behind him.